Public speaking is really an art form. The best public speakers can have you eating out of their hands. BusinessWeek.com columnist Carmine Gallo has written The Presentation Secrets of Steve Jobs. Here we summarise that document so that you too can create public speaking perfection. 1) Plan in pen and paper: before you start your digital presentation, plan what you’re going to say to deliver the story. Slides are just accompaniments. 2) Create a tweet-friendly description: i.e. make sure the point you are trying to get across, your new product, etc, can be summed up in one short sentence. It helps people to categorise and share what you’re talking about. 3) Introduce the antagonist: who’s the villain in the story? Create a villain – a competitor, or a problem in need of a solution – that allows the audience to rally around the hero – i.e. you and your product. And allows the hero to save the day. 4) Focus on benefits: your audience will be asking themselves one question – ‘why should I care?’. No one cares about the product or service itself but how it will improve their lives. Make sure you make the connection for them. 5) Stick to the rule of three: for some reason three just works – give an audience too much and they’ll forget it all, give them too little and you won’t have much to talk about. You can give more information on a website, in a handout, but stick to three in conversation. 6) Sell dreams, not products: Steve Jobs doesn’t sell computers; he sells the promise of a better world. Be passionate and enthusiastic about your dream and make your brand stand for something and people will follow. 7) Create visual slides: information is better retained when images are combined with text, so forget the slides and slides of words and embrace the photos. Keep it simple, and don’t forget the old saying ‘a picture tells a thousand words’. 8) Make numbers meaningful: if you’re going to use numbers and statistics put it into context and make it relevant to your audience. 9) Use zippy words: keep your language simple and don’t use jargon. 10) Reveal ‘holy smokes’ moment: a big build up to create something exciting that people will remember for a long time. Paint a picture and lead the audience to the big announcement when they least expect it. 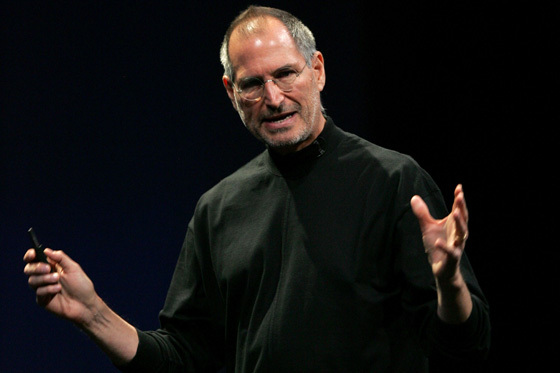 Steve Jobs plans to inform, educate and entertain with every presentation he makes. He also makes it look effortless. That’s not just being a ‘natural’. He practices and rehearses for hours to make it perfect in every way. Expert speakers hone their skill with practice.